Captain Jacob Marston, Starlight, Iowa’s wounded hometown hero, made a long ago promise to the Lord: he won’t kiss a woman until he knows she’s “the one” he’ll marry. Now, at age twenty-eight, the rugged firefighter questions if it’ll ever happen. Then he meets his best friend’s sister, Julia Sinclair, and Jake believes he’s found the woman of his dreams–but she’s promised to another man. 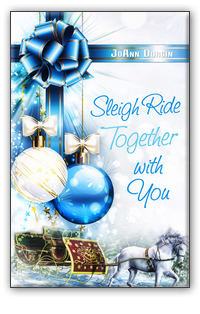 When Julia makes an unexpected confession on Christmas Day, Jake shares his secret with her, and it looks as though happily-ever-after will make a holiday appearance. But somehow, everyone in the tiny town of Starlight learns Jake’s secret and he’s instantly transformed from town hero to laughingstock. Did Julia reveal his secret? 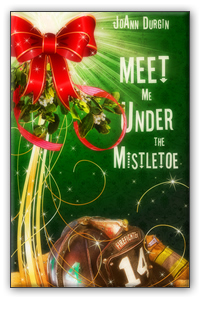 Can Jake and Julia find their way under the mistletoe for a forever kiss? As the popular television co-host of Wake Up, Des Moines! Nicole Reardon has achieved her dream. So why has the network sent “image maker” Alex Kingsfield to the station? The irritatingly handsome man is also the first man she’s been attracted to since Jake Marston dumped her three years ago in Starlight, Iowa. When an unexpected assignment sends Nicole and Alex to Starlight, can she rise above the past and make this interview the defining moment of her career?Alex Kingsfield knows Nicole is poised on the cusp of network stardom. But beneath the professional exterior is a small-town girl at heart, genuine and God-honoring. Alex holds the power to boost Nicole’s career to unknown heights. Or crush her dreams. From any angle, he’s caught in a “no win” situation when he finds himself falling for the beautiful Nicole. 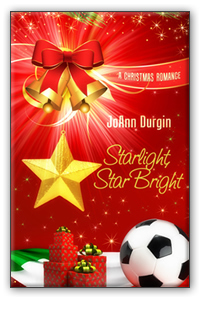 What’s a man to do when love comes calling at Christmas? Colin Young embraces the Christmas season as the new television co-host of Wake Up, Philadelphia! His fun and spontaneous “Out and About” segments in the City of Brotherly Love are a ratings winner. Only one problem—the beautiful but intriguing assistant assigned to help make his transition easier doesn’t seem to like him much. Serena Monroe has no time for the cheeky Brit with a glowing professional reputation but a lengthy personal history with women. Betrayed by one high-profile man, she doesn’t need another. Her sole focus is her daughter, Lily. But then Serena begins to see that Colin is nothing like she assumed. He’s a man of faith who inspires everyone around him. Dare she take a chance on love again? 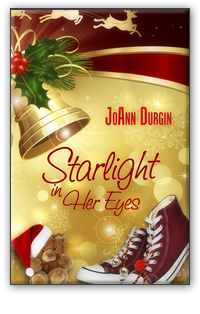 When Colin invites Serena and Lily to share Christmas with him in the little town of Starlight, Iowa, can they discover a holiday miracle of their own?